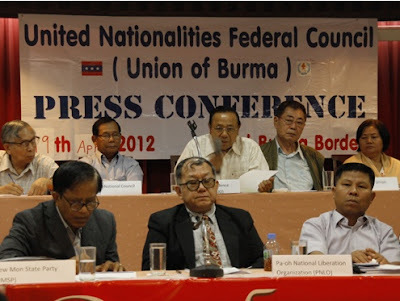 “The Japanese government has a [role] in the peace process inside the country and they summoned us here because the UNFC is one of the important ethnic organisations,” said UNFC vice president and Karen National Union’s vice-chairman Saw David Thackapaw. Founded in February 2010, the UNFC is an umbrella organisation comprised of 11 armed ethnic group, that was created to negotiate with the government at union-level meetings. “We are going to ask for humanitarian assistance and for help negotiating [a peace deal] if they can. 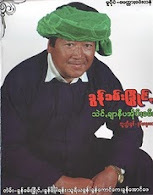 Mainly, we will ask for their aid in education, health and agricultural sectors for war refugees inside the country,” said Saw David Thackapaw. The vice president said the UNFC delegation will be in Japan for more than a week and is scheduled to meet with NGOs that provide aid to refugees and also with Japanese parliamentarians. “The first thing to do is to help civilians suffering inside conflict zones – we are not asking to help the armed groups but just civilians,” said PaO National Liberation Organisation’s chairman and joint secretary of the UNFC Khun Okker. Last week, Burmese President Thein Sein was in Tokyo to attend the 4th Mekong-Japan Summit. During the trip, the Japanese government agreed to waive the country’s debt to reward Burma for its recent reforms. Japan has also pledged to provide US$12.3 million in aid to the country.